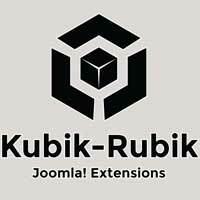 NSTS - Non-SEF to SEF is a new plugin from Kubik-Rubik, the developer of a suite of very usefull extensions, including Easy Frontend SEO. The NSTS - Non-SEF to SEF plugin offers functionality in a very simple, but usefull way. As discussed in the article on duplicate URL's, one of Joomla's issues is that, even when you switch on SEF-links in the Global Configuration, the non-SEF links are still available. You could possibly be punished by Google for having duplicate URL's. There are quite a few extensions that can solve this issue for you (like SH404SEF and MijoSEF), but mostly, these extensions are quite complicated, and hard to use for inexperienced users. Also they often offer functionality that you may not need, and finally, once activated, they will probably change your existing links to new ones. All of this can be overcome, but it takes experience and time. In cases where the only thing you want is to route non-SEF to SEF links, the NSTS plugin comes in very handy. Best of all, it will not break anything on an existing site, so it makes it a very nice plugin to be used for less-experienced users. It will not solve all your SEO problems, but the one it does fix is a very important one. No setings have to be set, the only option you have is to exclude certain componenents or extensions. After activation, it just does the rerouting for you, including some intelligent rules, based on whether your article is linked to a menu or not.